Mom, you’re right. 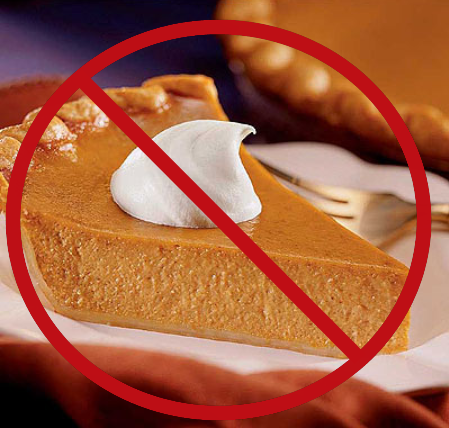 No one like pumpkin pie. I have one sitting in my refrigerator right now that my husband made in a fit of fall seasonal-iness. (Just making up words here!) We ate two pieces, and the remainder is still taking up room next to the coffee creamer. Right now as I type this, I feel like I should go throw it out. But I won’t. Special holiday food has a sacredness to it (like a present from a dead relative, a holy scripture or my pile of plastic shopping bags that collect under the sink out of guilt that I forgot my reusable tote, yet again). It can only be tossed in the trash when it actually starts to grow mold. Turkey (most of the time) It’s so dry! Apple cider. Too coyingly sweet. Christmas/Easter ham. Out of all the ways of cooking pork, why this one? Frosting! And most birthday cakes. Yes, I’m the fussy eater at the office birthday parties that just picks at my store bought slice of cake.